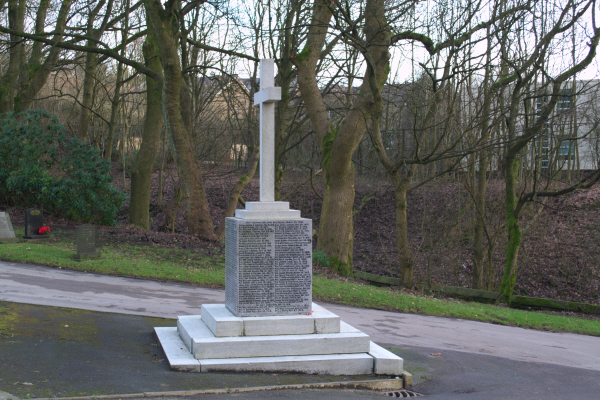 This memorial, now listed as an historic monument, was erected at the instigation of Carrie Whitehead J.P. in September 1915 and is recognised as the first community World War One Memorial to be erected in this country. 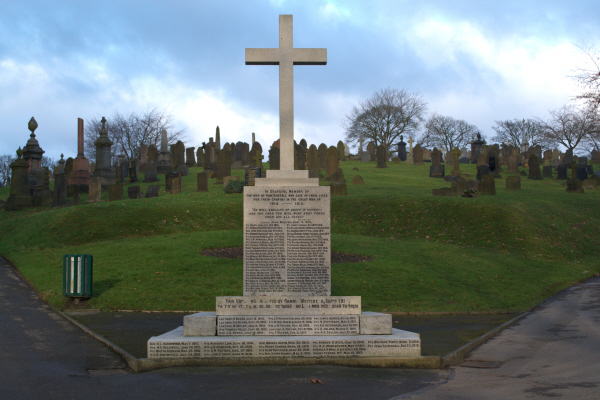 It was given "Grade II Listed Building" status on 25th August 1999. 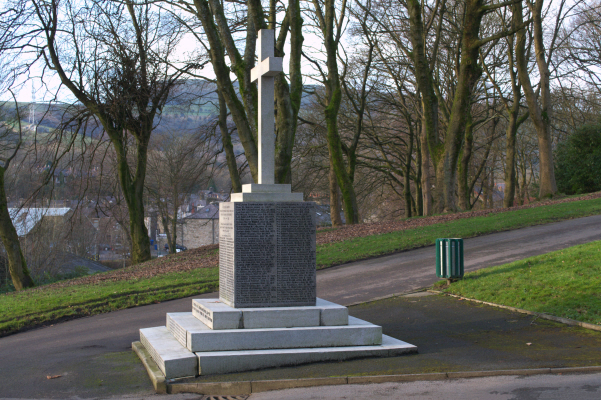 Through the generosity of Miss Carrie Whitehead of Holly Mount, a beautiful monument has been erected in Rawtenstall Cemetery in memory of the brave soldiers, primarily from the two central wards of Rawtenstall borough who have given up their lives for their King and country. 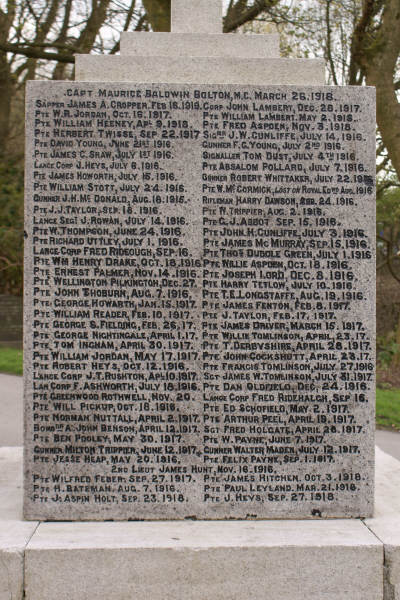 Miss Whitehead has taken great interest in various kinds of work connected with the war, and has been a very good friend to a large number of soldiers wives and widows in the borough, by whom she is held in great respect. 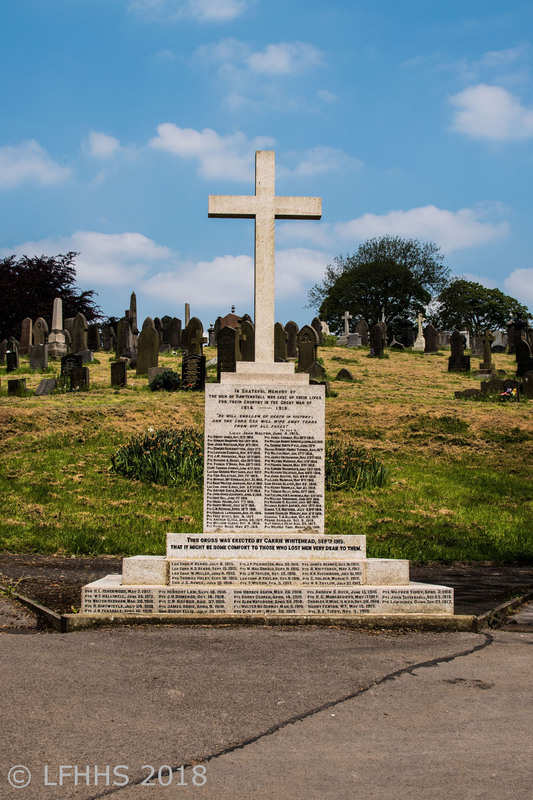 She has taken a prominent part in the work connected with the various relief funds and also the fund for providing comforts for Rossendale lads serving abroad with the Army and Navy. 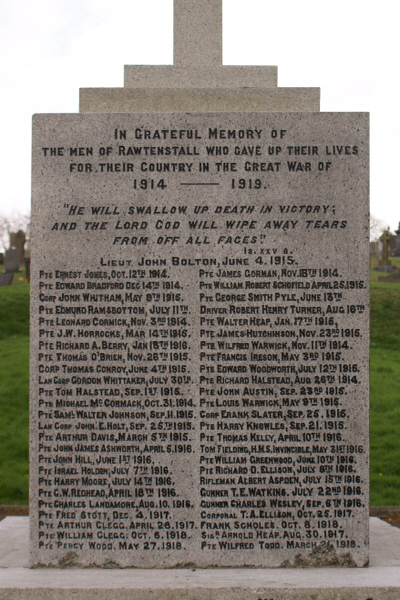 She is President of the recently formed Borough Girls Guild, which has a membership of 1,000 girls and young women, who are busily engaged in knitting and sewing various articles for local and wounded soldiers, who are serving abroad. 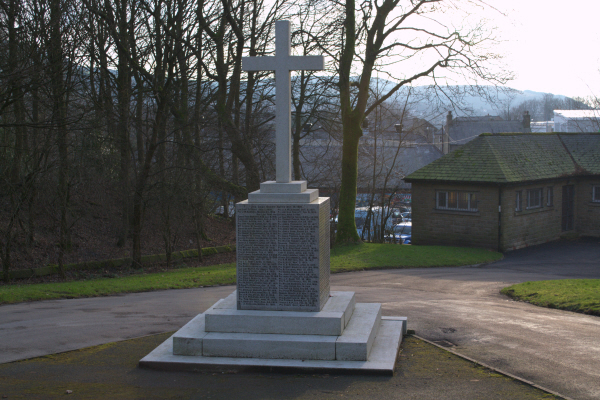 She is also an active worker in connection with the Newhallhey Auxiliary Military Hospital, and secretary of the Rawtenstall District Nursing Society. 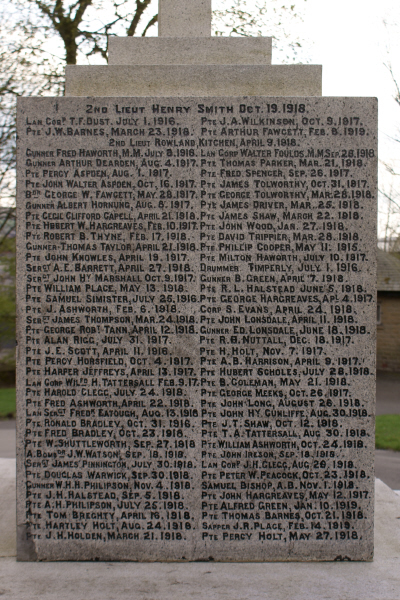 Miss Whitehead takes a prominent part in connection with the work of the Mayoress’ Sewing Committee, and devotes a good deal of time to several other institutions, whose objects are for the benefit and welfare of the residents of Rawtenstall Borough. He will swallow up death in victory: and the Lord God will wipe away tears from of all faces." 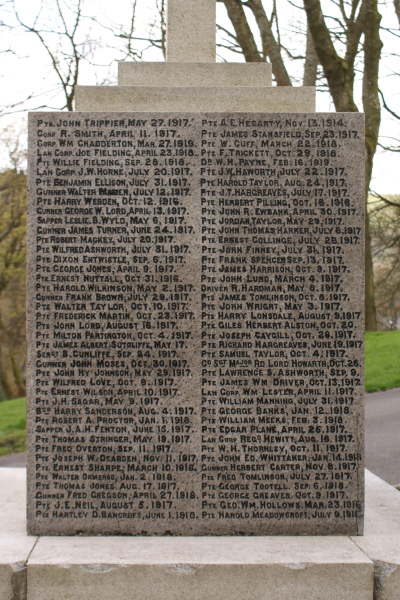 The memorial reflects great credit on sculptor, Mr Joseph Harling, Haslingden-road, Rawtenstall.